The only "membership" requirement is a desire to stop drinking. You can visit an "open" meeting and just observe. (Call a contact phone number in your area to get information. 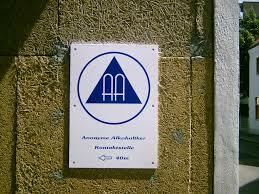 Alcoholics Anonymous is the most studied of the self-help groups. A significant, though modest, correlation has been reported between attending AA meetings and being abstinent. An even stronger relationship between broader involvement with AA (e.g., working the steps, reading AA literature, having a sponsor, as well as going to meetings) and abstinence than just attending meetings appears to exist. The Alcoholics Anonymous (AA) program of recovery is based on twelve steps to recovery that stress acceptance of drinking as a problem, willingness to accept responsibility for one's actions and at the same time to seek help. The goal is personal and interpersonal change that leads to a spiritual approach to life. The spiritual approach and the group membership factors have been mentioned as important both by people who have gotten excellent personal results from AA and those who don't want anything to do with it. Just in case you're concerned about being "one of those people"
be advised that having a problem with alcohol may lead you to do bad things, but that it doesn't correlate with being a bad person . . . unless of course you never do anything about it . . . get the substances under control and you'll be amazed what else you can do. you're very likely to be surprised at who in your community is a regular AA attendee . . . it's not uncommon for some very effective people to credit AA with how they deal with everything in their lives. Other alcohol self-help groups are less widely available or researched, but when you can find one in your area, they can provide alternatives for those who would like a self-help approach, but would like to consider alternatives to AA. AA may indeed be the "grand-daddy" of alcohol self-help groups, but Women for Sobriety, the first national self-help program for women alcoholic has been operating since 1976, which is quite a history of helping too. Their WEBSITE describes their program as being . . . "Based upon a Thirteen Statement Program of positivity that encourages emotional and spiritual growth, the "New Life" Program has been extremely effective in helping women overcome their addictions and embrace a new positive lifestyle." "SMART Recovery is the leading self-empowering addiction recovery support group. Our participants learn tools for addiction recovery based on the latest scientific research and participate in a world-wide community which includes free, self-empowering, science-based mutual help groups. The SMART Recovery 4-Point Program® helps people recover from all types of addiction and addictive behaviors, including: drug abuse, drug addiction, substance abuse, alcohol abuse, gambling addiction, cocaine addiction, prescription drug abuse, sexual addiction, and problem addiction to other substances and activities." Moderation Management's WEBSITE describes their program as . . . "a behavioral change program and national support group network for people concerned about their drinking and who desire to make positive lifestyle changes. MM empowers individuals to accept personal responsibility for choosing and maintaining their own path, whether moderation or abstinence. MM promotes early self-recognition of risky drinking behavior, when moderate drinking is a more easily achievable goal. MM is run by lay members who came to the organization to resolve personal issues and stayed to help others." 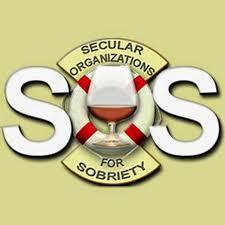 LifeRing Secular Recovery describes itself on it WEBSITE as . . . "an abstinence-based, worldwide network of individuals seeking to live in recovery from addiction to alcohol or to other non-medically indicated drugs. In LifeRing, we offer each other peer-to-peer support in ways that encourage personal growth and continued learning through personal empowerment. Our approach is based on developing, refining, and sharing our own personal strategies for continued abstinence and crafting a rewarding life in recovery. In short, we are sober, secular, and self-directed." It is up to you to sort through the available resources whether a particular program is most likely to work for you. Not an easy thing to do, but it is your life after all.